Chief of Staff of Tatarstan President’s Administration Asgat Safarov, Deputy Prime Minister of the republic Vasil Shaikhraziev, representatives of regional ministries and agencies, heads of municipalities took part in the meeting. 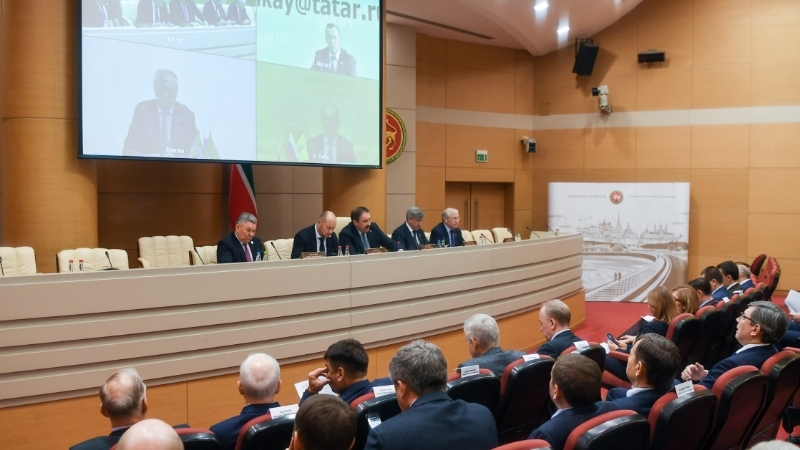 Pesoshin reminded that in accordance with the order of Tatarstan President Rustam Minnikhanov, the Cabinet of Ministers of the republic has been working to implement the legislation of the Republic of Tatarstan on state languages since the beginning of 2018. Making a keynote report at the meeting, Shaikhraziev said that 12 meetings with the participation of representatives of municipalities, ministries and departments were held in 2018. During this time, a monitoring and control system was developed. “We have certain achievements, however we are not implementing this law in full in the republic,” the Deputy Prime Minister stated. Speaking at the meeting, Safarov reminded that administrative responsibility is incurred for violation of the legislation on languages of the Republic of Tatarstan. He urged city and municipal officials to use this tool more actively. At the end of the meeting, representatives of the Institute of Applied Semiotics of the Academy of Sciences of the Republic of Tatarstan presented the Russian-Tatar language pair in the Smartkat system for the professional translation. This tool is designed for translating news on websites of ministries and departments, official documents (decrees, laws, orders, etc. ), preparing speeches and reports in Russian and Tatar languages, as well as working with different formats of unedited and graphic materials. The Smartkat system has already been tested in the executive committee of Kazan. Pesoshin noted the effectiveness of this system. To date, instructions have been given to ministries, departments and municipalities to use this system to facilitate the translation of legal acts and news items, the Prime Minister of the republic added.